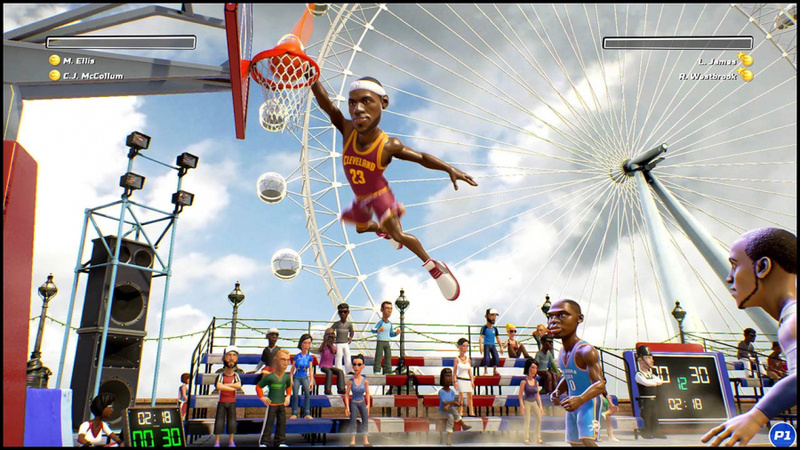 Earlier this week we highlighted the somewhat painful wait for a major update of NBA Playgrounds on Nintendo Switch. It launched without online play which was promised for 'a few days' after launch, but over two weeks after release the key feature is still absent. Developer Saber Interactive has been acknowledging the frustration of fans on social media, and now seems keen to make amends. The developer is teasing a 'huge announcement' for 1st June, with the implication being that the studio could offer something extra to Switch owners as recompense for the long wait for online play. We'd expect a go-ahead for online play as a minimum, but it'll be interesting to see what other goodies are thrown in. We'll keep an eye out for the announcement on Thursday. I really like this game, but so far they haven't done good delivering on their promises. Ya, better late than never. Maybe they've seen their game is selling as good on Switch as it is on other platforms and they've thought,"Hey maybe it was not so smart to treat Switch owners like the ugly stepchild". Im looking forward to seeing what they offer Switch owners. It's not a bad game but I was hoping for online play before now. Tickets to the NBA finals?? "Huge", eh? So, will they be releasing a patch to make the players' heads even bigger? Really bugs me when companies make an announcement that they are going to make an announcement. I wish they would do something about the shot timing animations. Super fun but, it doesn't pay to shoot anything but 3s. Will it be the ability to fix games? Is this an... announcement for an announcement? We are proud to announce online play will be coming August 15th! How did "Let's make a poor launch and we'll fix stuff afterwards !" become a relevant business plan to anyone ? well I'll get a eshop card in advance. I like the changes made to the PC version. If they add the update and up the non docked resolution they've got a sale. Please fix the graphics when undocked. @1wiierdguy I feel like offering the option (without charge to the developer) for Amiibo support would be the ultimate way to do that. Then, Nintendo gets paid for it via Amiibo sales, Indies get to offer unique content on Nintendo platforms that will draw more players in (heck, if be more interested in this title if I could add in Nintendo characters and play as/against them! ), and Amiibo owners get to use them more. I see it as wins across the board, honestly. They need to sort out the cheating AI, it's beyond the joke in the Finals, one minute poop, next minute, world Class. @Gerald That would make me very happy. We really do need better handheld resolution. @MyNameIsRandy good to know, i want to get it but will wait to see if they actually do. A couple gold packs thrown our way? @1wiierdguy That would be awesome! I am hoping its the addition of online multiplayer, upgraded visuals, and free DLC. meter, new players, etc. Great game. @Captain_Gonru I don't think this game needs a sale. I have ZERO interest in being murdered by 8 year olds, online, but, could they make it easier to score? It's impossible to even come close to winning a game, on Rookie. @cerenzio: yeah, that's just not true. Pick a guy with great 3-point skills, and a guy who dunks, power them up and learn the game a bit. 2-point shooting will be easier once patch hits. Here is an article with the big announcement with mention of online and many other goodies, but I doubt Nintendo owners will see an update anytime soon. I'm guessing that Shaq Fu will be released and playable before NBA Playgrounds gets online play.